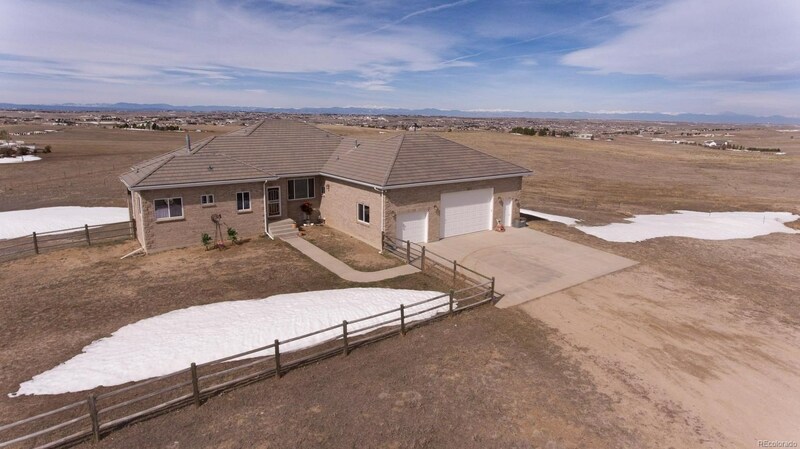 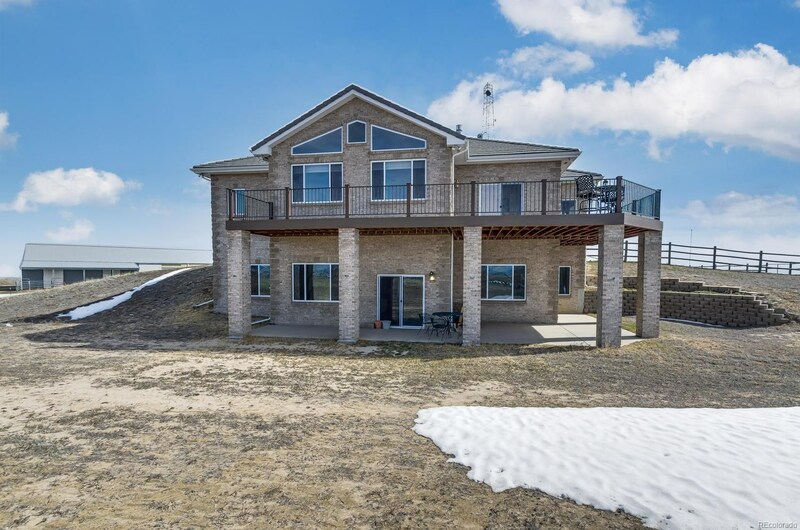 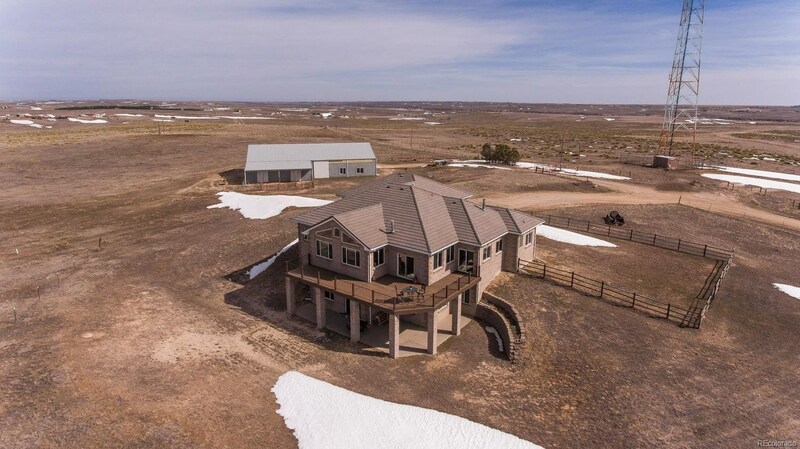 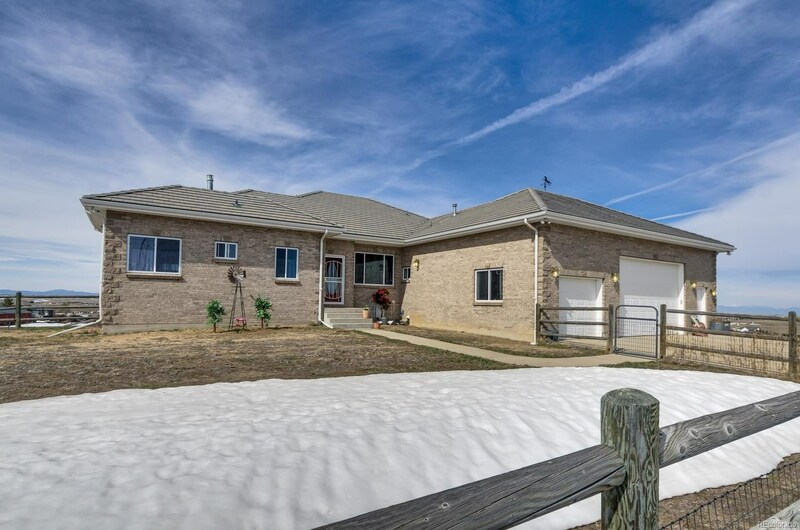 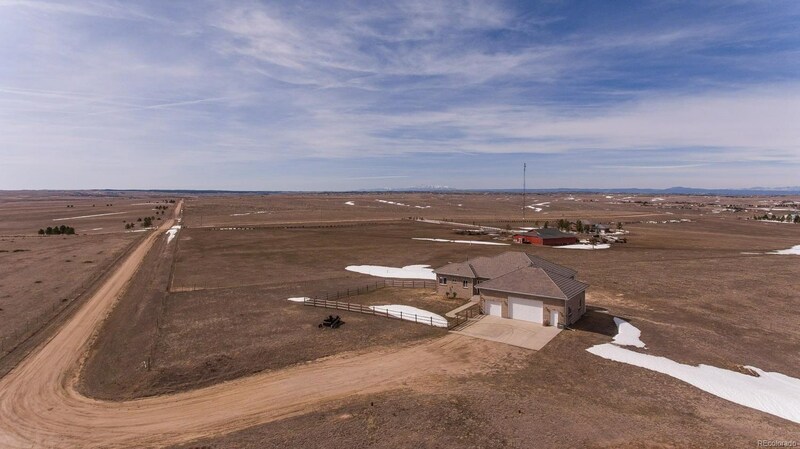 Custom brick ranch style home on 35 acres has sweeping views of the entire Front Range awaits you. 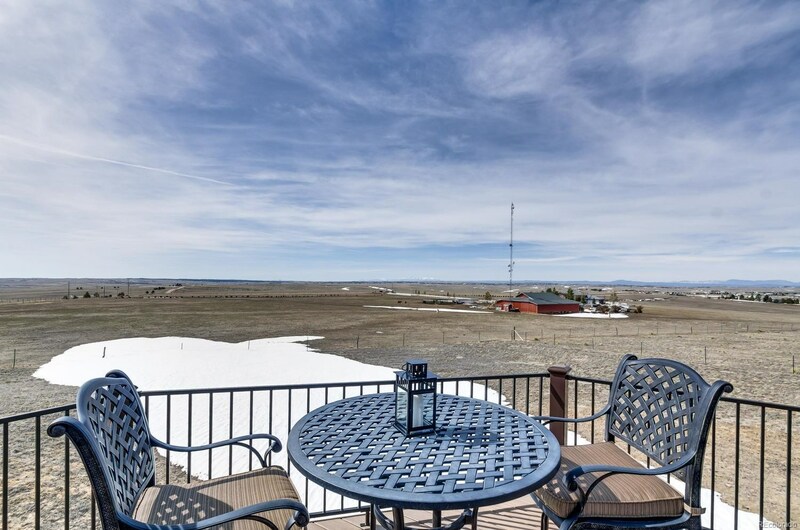 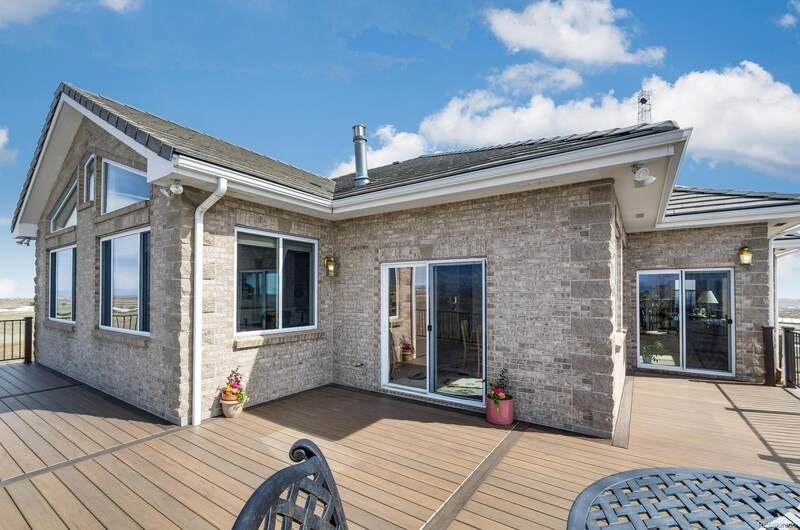 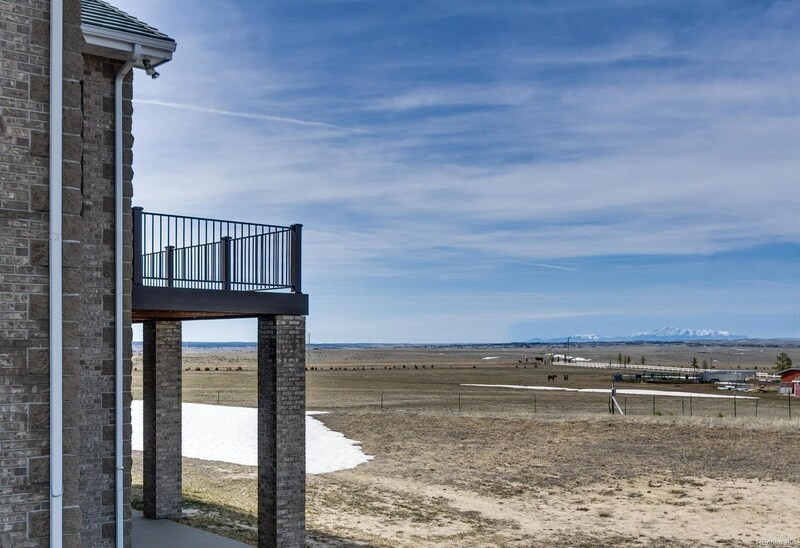 The trex deck is perfect to entertain and share the magnificent vistas. 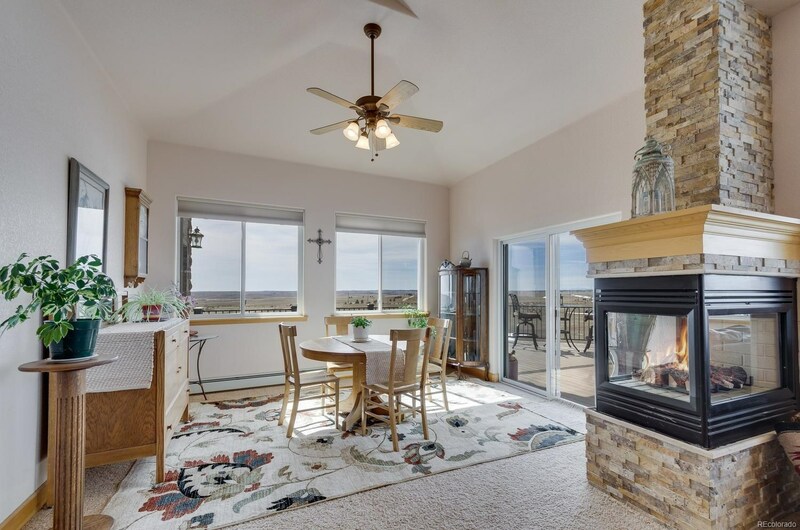 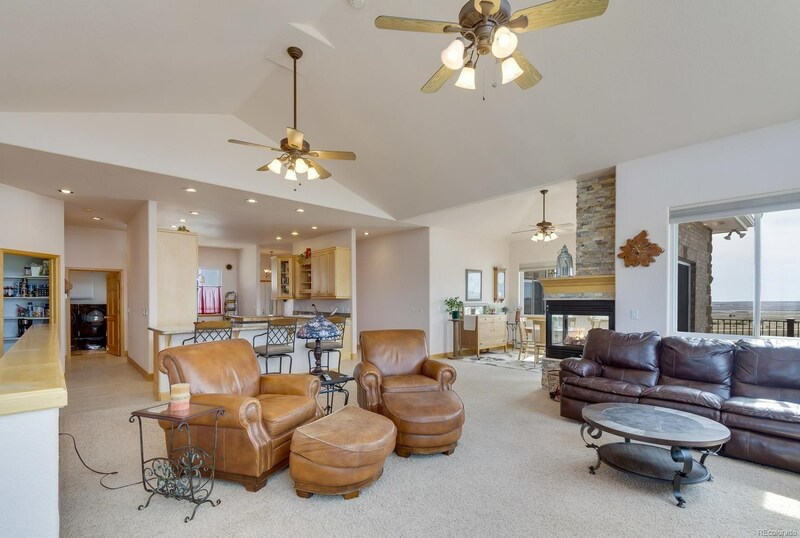 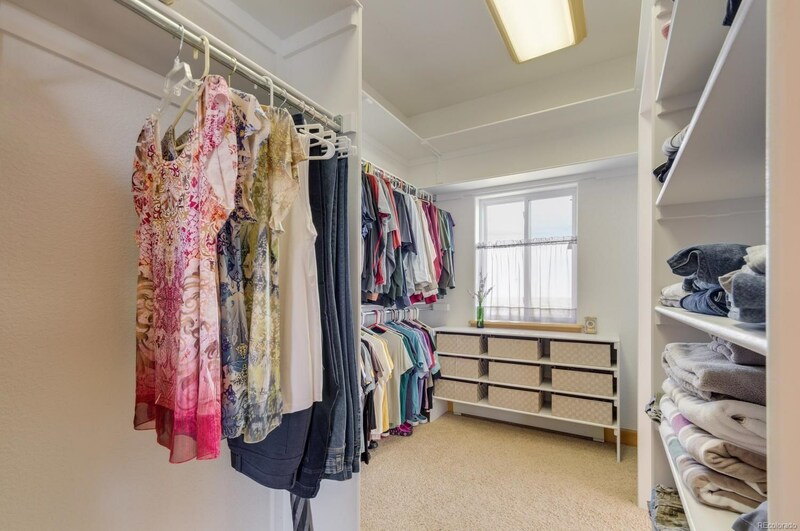 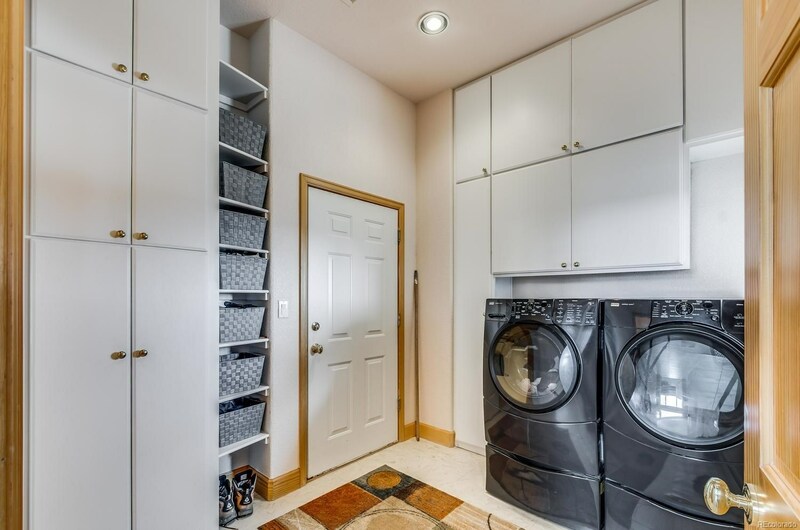 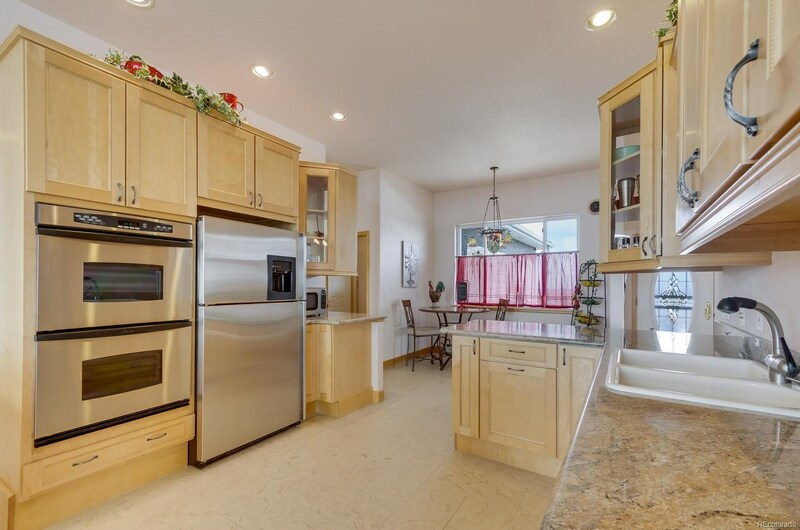 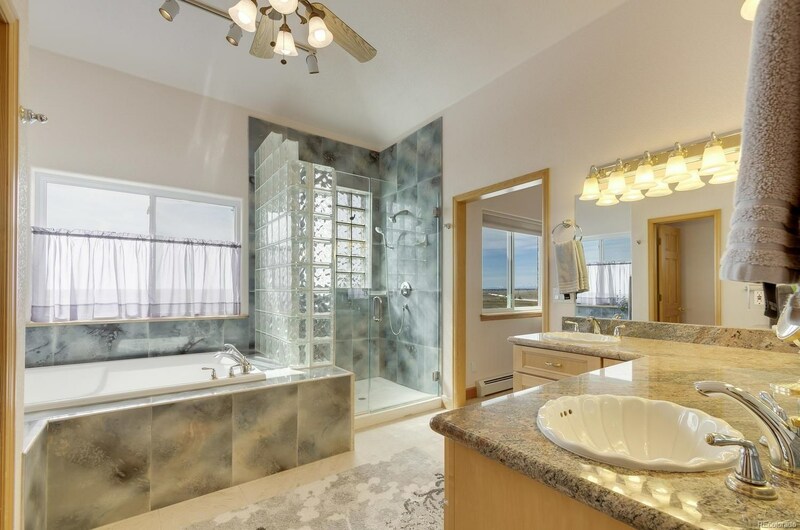 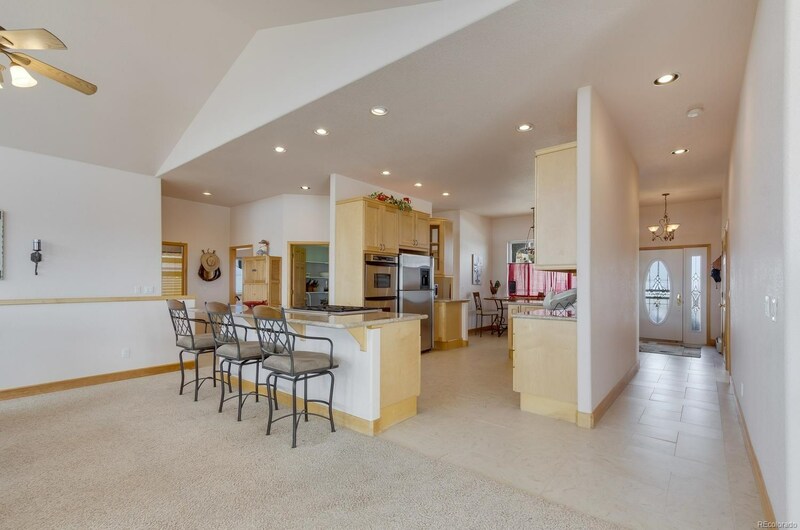 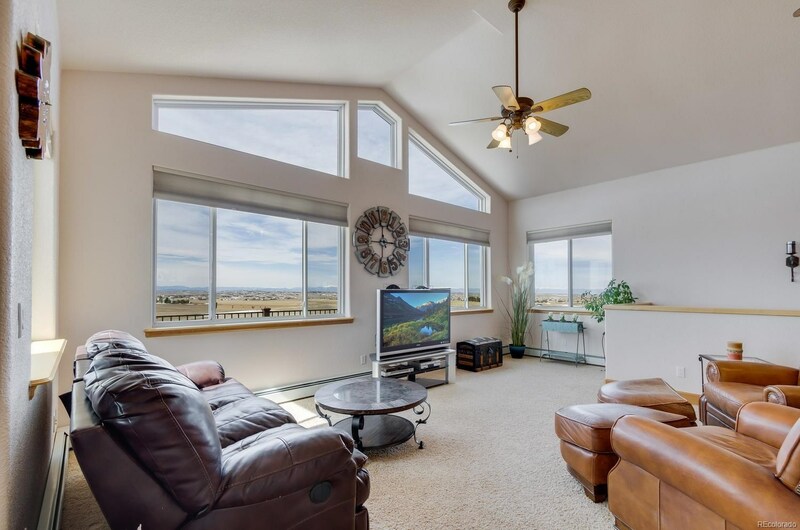 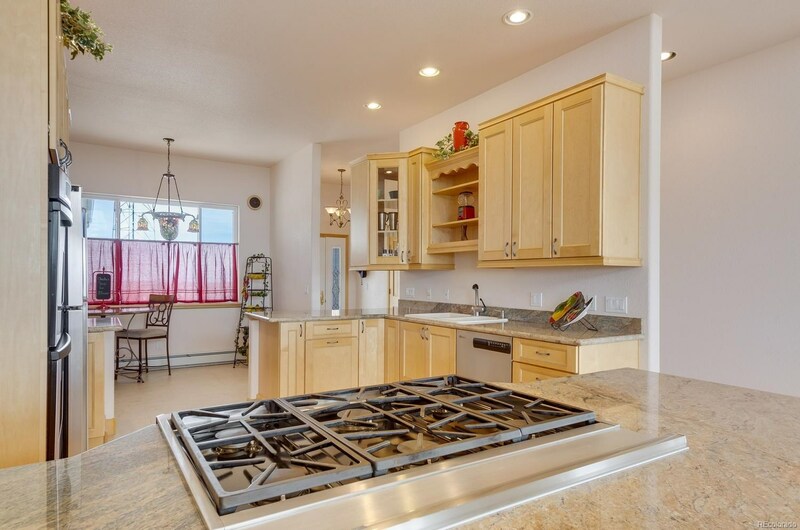 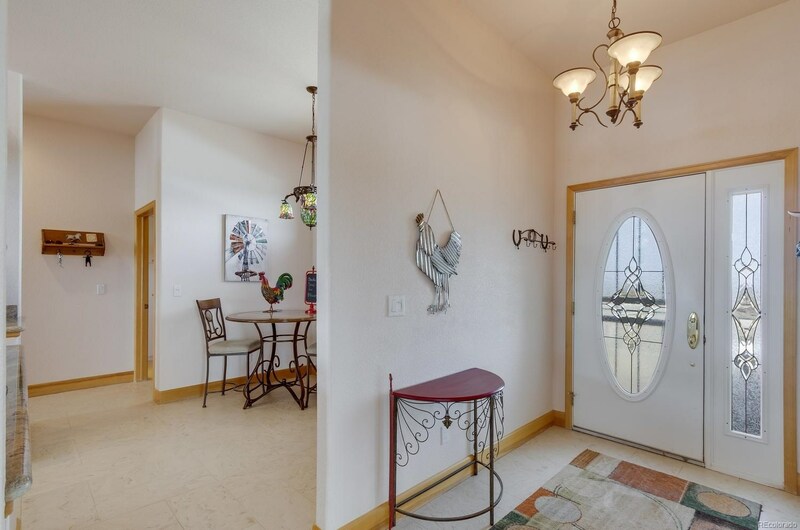 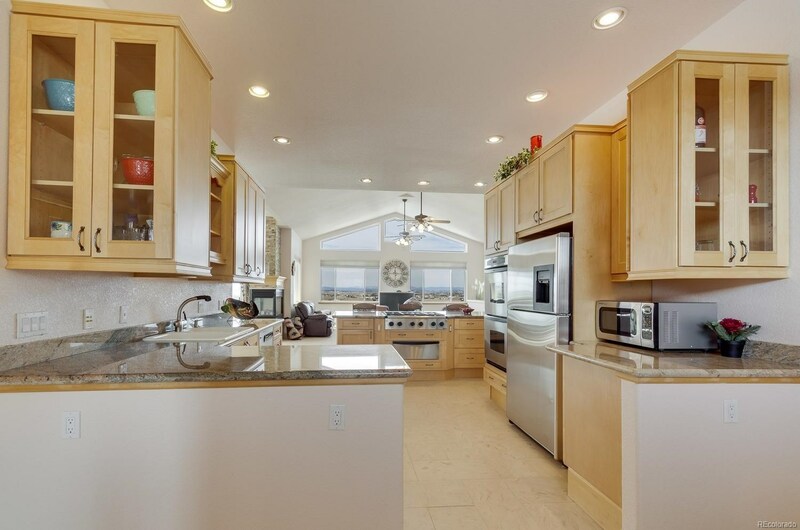 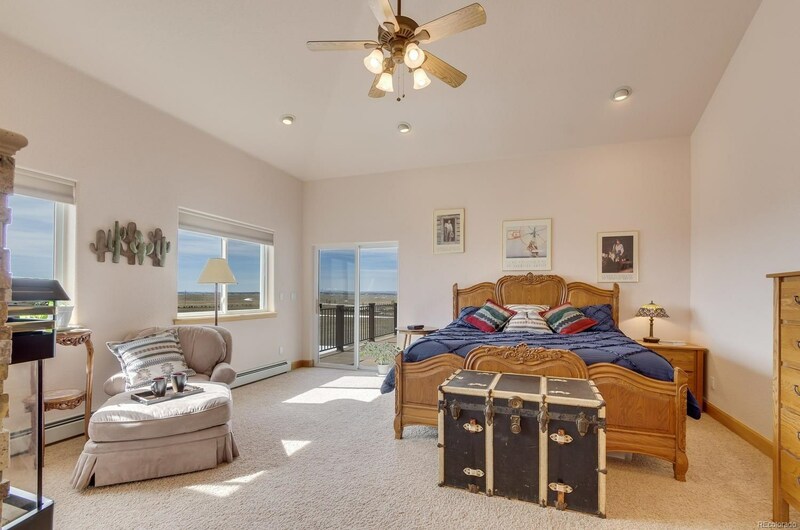 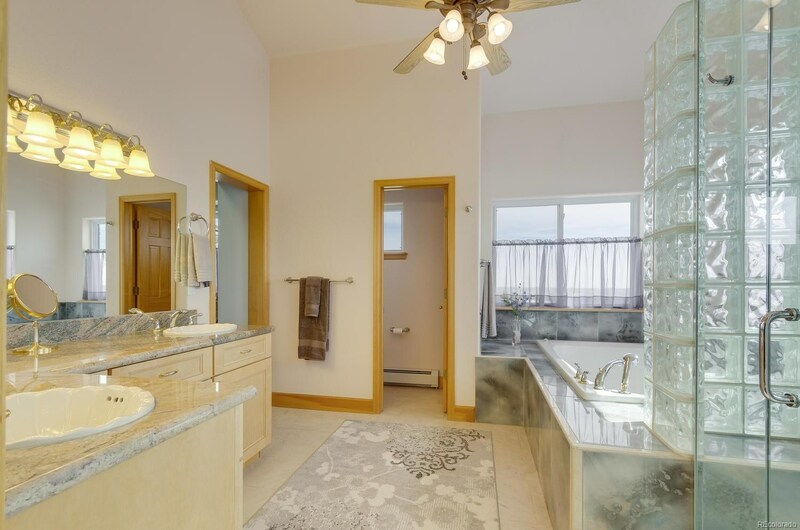 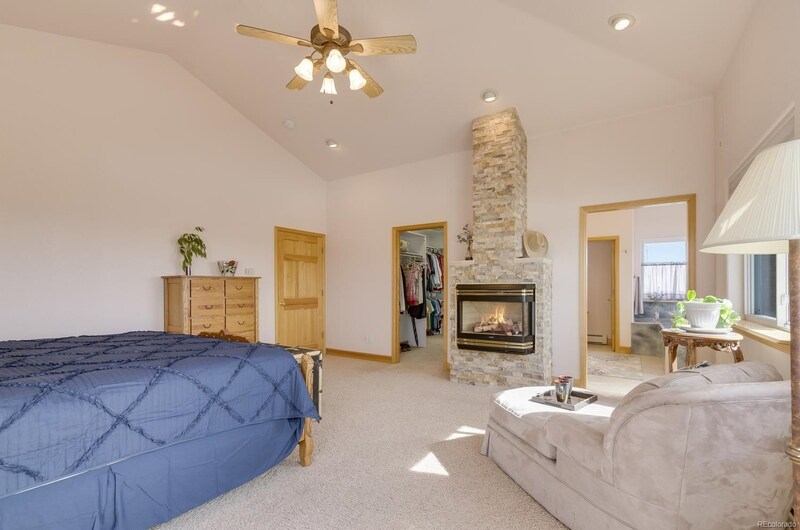 A bright open floor plan with gourmet kitchen appliances, slab granite counters, large great room with cozy 3-sided gas fireplace that also serves the dining area, 3 bedrooms, 2.5 baths, and a large over-sized 3 car garage. 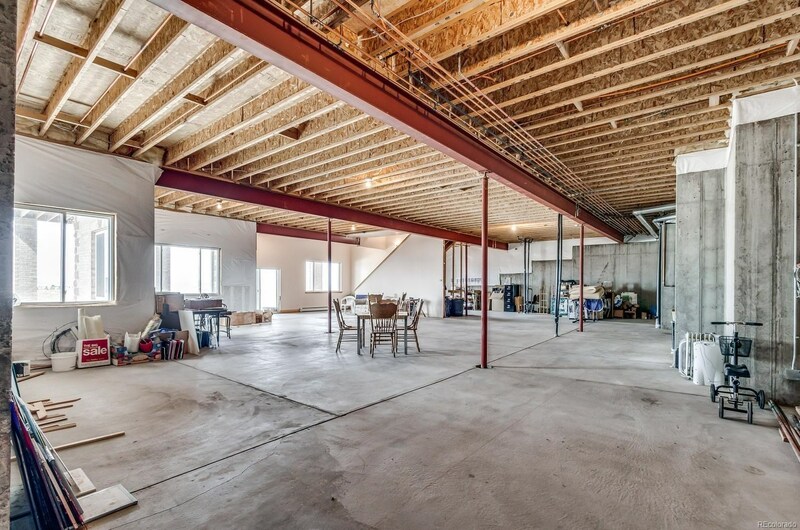 The walkout basement with 11’ ceilings is ready to be custom finished. 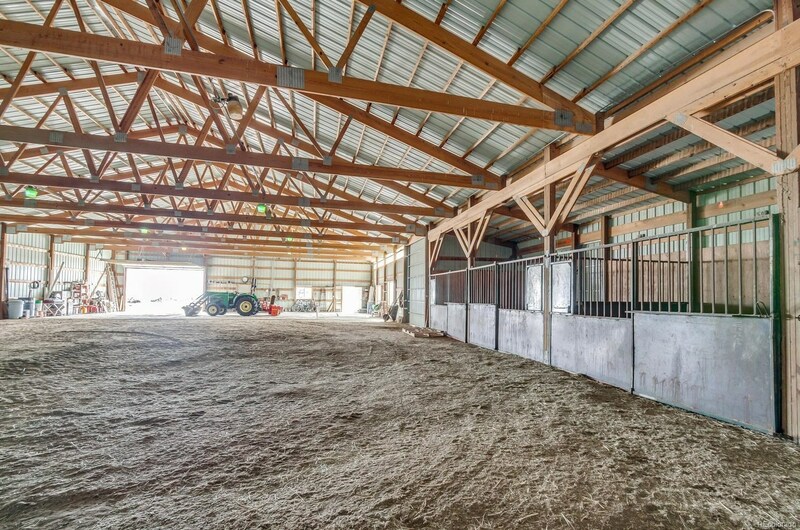 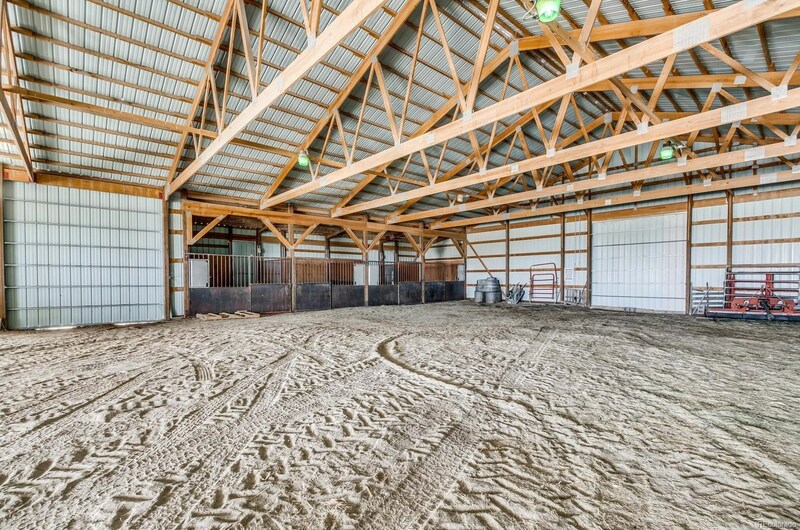 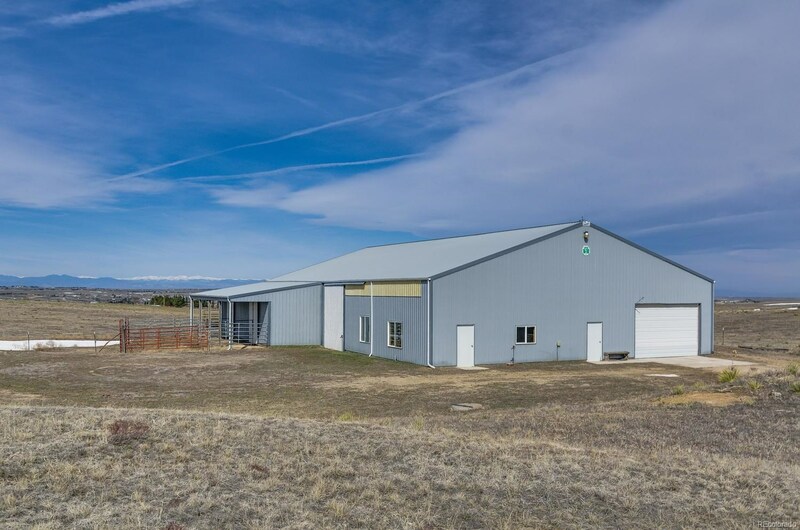 The 60 x 100 outbuilding here is ready for your horses with 4 stalls, heated waters, wash rack and a 72 x 60 area for a riding arena. 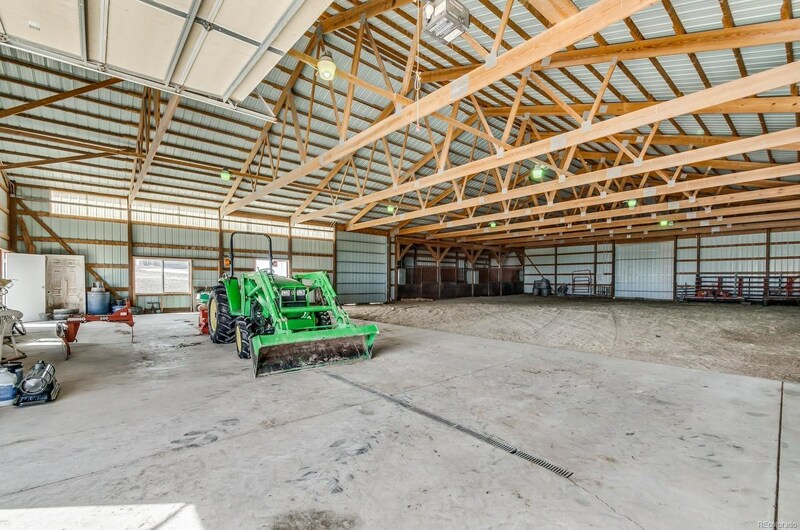 The other part of this building has a 28 x 60 concrete floor with in floor drains for car washing and abundant storage. 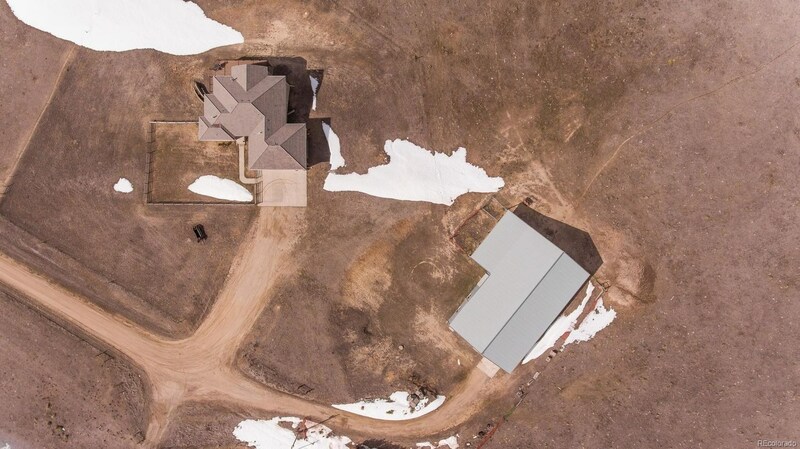 RV dump and hookups for natural gas, septic, and 220V electric. 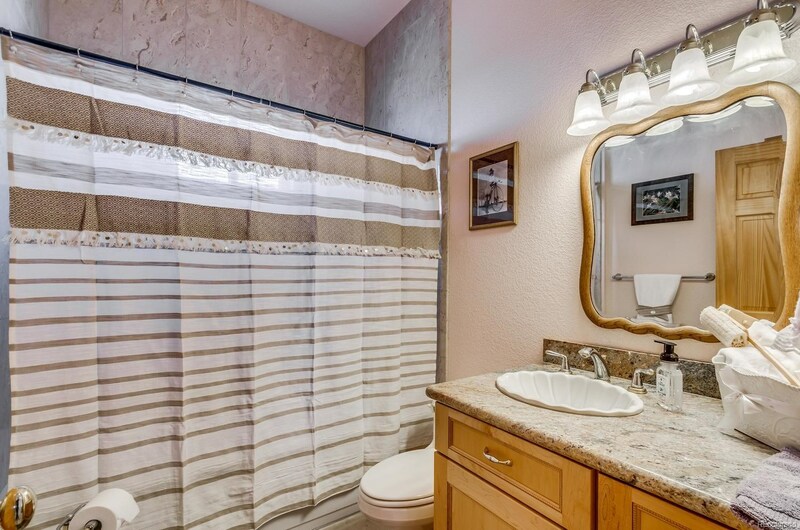 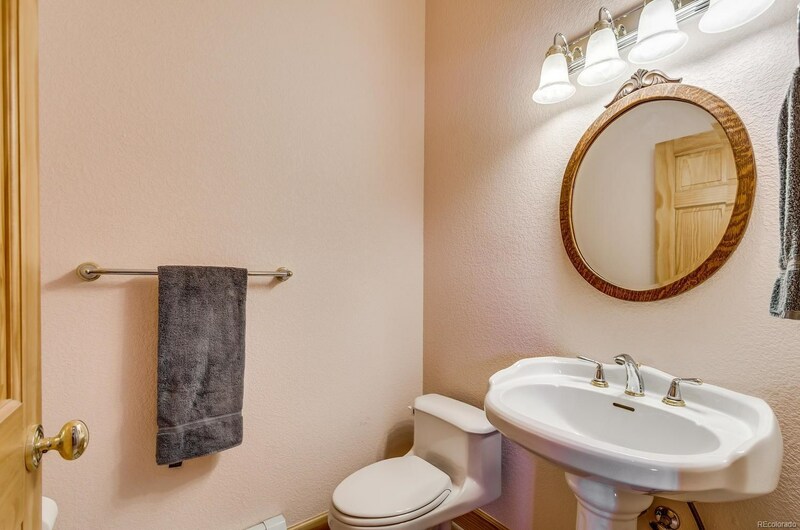 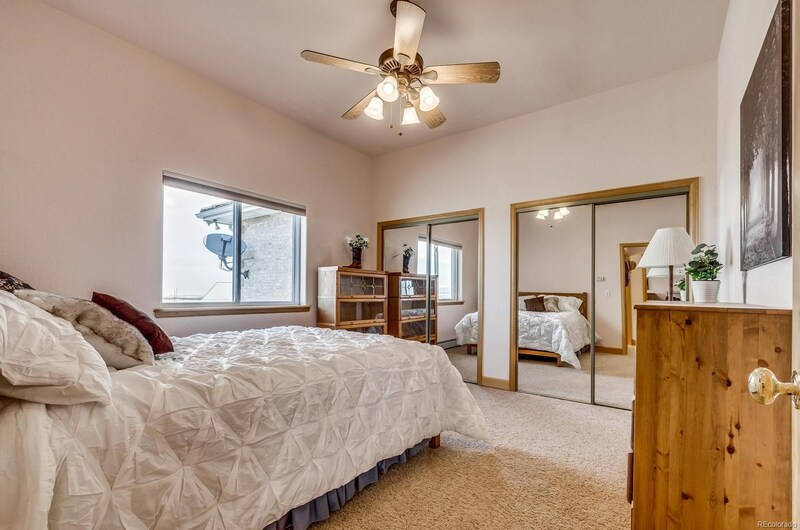 With the solid maintenance free construction, and natural gas you will enjoy low utilities. 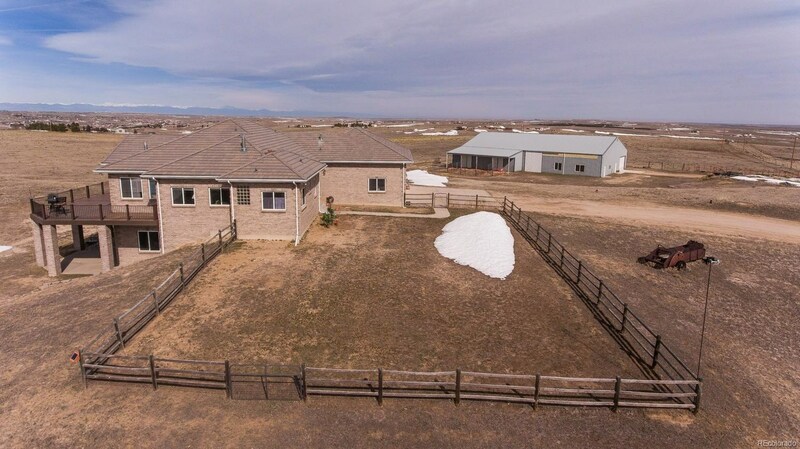 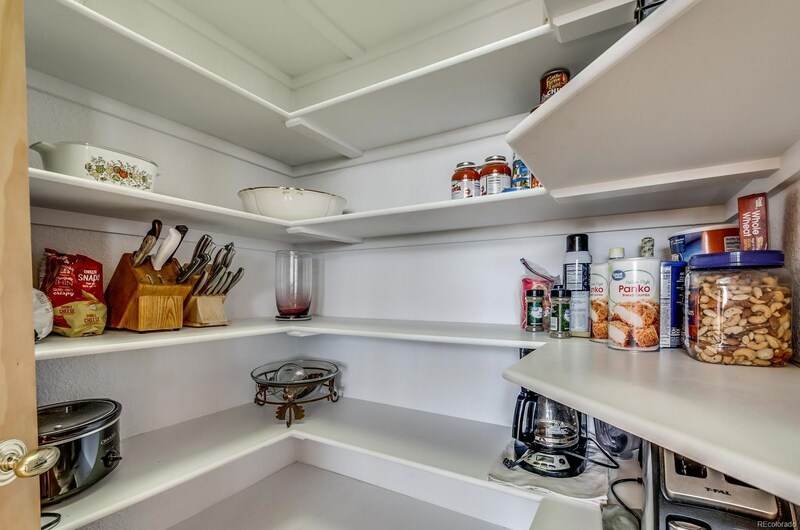 This property has to many extras to list. 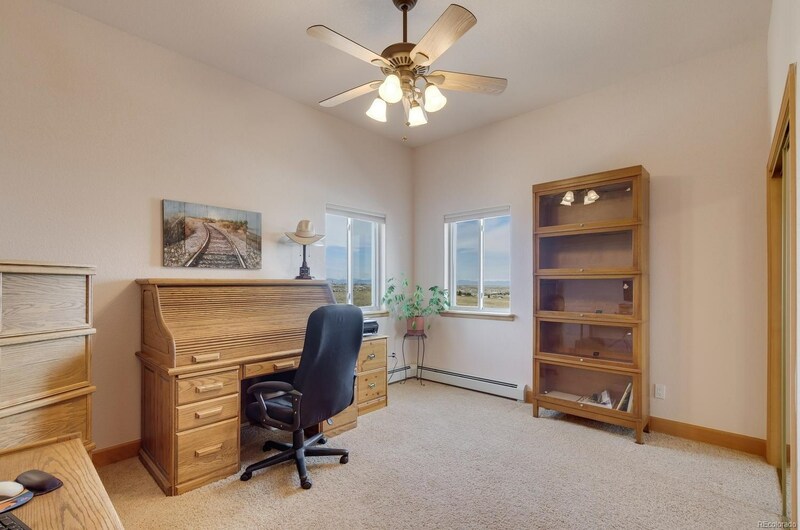 15 minutes to Southlands or Parker with only just over a mile of dirt roads.